DELTA’s state-of-the-art Push-Pull Pickling Lines are the result of extensive research and development, yielding the most effective methods for preheating, acid-concentration control, stain- free rinse and turbulence/temperature control. As a result, DELTA’s Pickling Lines ensure a high quality pickled coil within a minimum dwell time. The line is virtually fume-free and all roll openings are made with flexible covers to restrict acid splash. 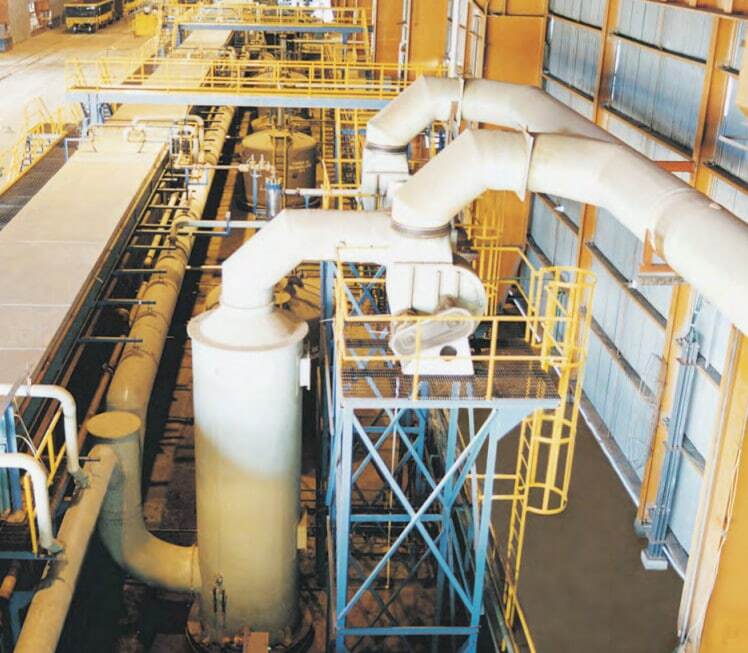 From our list of reference installations a new customer can pick from a vast variety of options that DELTA has supplied to steel plants worldwide. We offer steel or polypropylene tanks, temper mills at the entry or exit of the line, edge trimmers and choppers, tension levelers, or DELTA’s patented fiber equalizer that produces near-perfect flat strip regardless of the quality of the incoming coil. 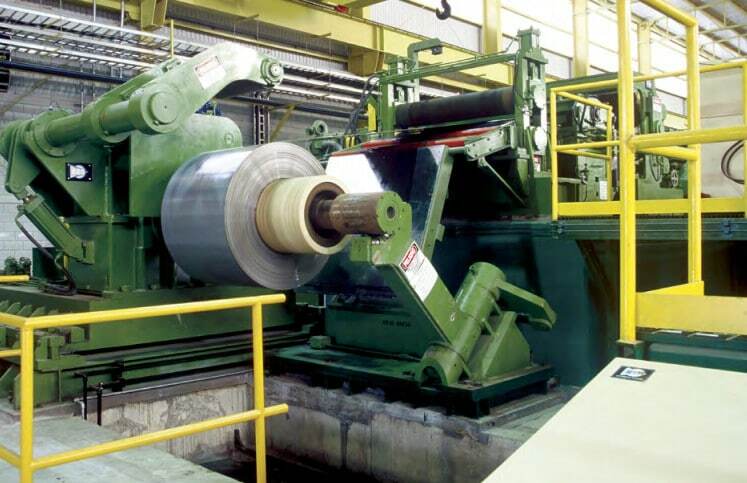 DELTA’s Push-Pull Pickling Lines are capable of processing from 1,000,000 tons of HR coils per year ranging in thicknesses from 1.00” (25mm) to 0.039” (1mm) and run at line speeds up to 700 fpm (213 mpm). At DELTA, we stay at the forefront of technological developments with the components and sensing technology found in the wet sections of Pickling Lines. This attention to detail guarantees our customers the latest and greatest in technological advancements in the field. DELTA also supplies Continuous Pickling Lines for ferrous and non-ferrous metals. Our Push-Pull Pickling Lines meet our customers’ critical needs for high productivity and quality, while taking every precaution to ensure the environment is protected. DELTA teams with producers and operators of Acid Regeneration Plants (ARP) to recoup the spent acid generated from a DELTA Pickling Line. We begin the process by first discussing the best use of the resultant product generated by the ARP to make sure the best possible environmental footprint of the installation is obtained.